Our mission is to generate maximum returns for property owners and investors, saving them time and money while still providing our tenants with a great renting experience. We operate with a high degree of transparency, always making sure that our goals and profitability are properly aligned with that of our clients. That means no hidden fees or marking up maintenance. Our compensation is always tied to our results and your happiness . . . guaranteed. Fresh out of college, our founder, Steve Oehlerking, started his career in Real Estate investing purchasing, rehabbing and renting small apartment buildings, rooming houses and single-family homes in Gainesville, Florida. Leveraging his Real Estate Investing experience, in 1988 Steve founded Apartment Hunters, an Apartment Locating service with offices in Gainesville, Orlando and Tampa, Florida. He grew Apartment Hunters into the largest Apartment Locating service in Florida. In 1998 it was awarded the distinction as an INC 500 company, one of the 500 fastest growing privately held companies in the country. 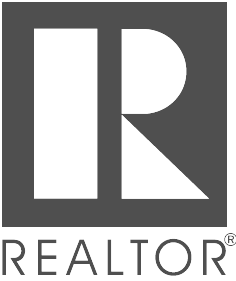 In 2004, Steve founded Rent Solutions to expand the services and solutions provided to Renters, Home Owners, Investors and local Real Estate professionals. Upon expanding into Property Management, Residential Leasing and Investor Services we found the industry was made up mostly of smaller operators very much dependent on a few individuals with limited systems and technology to perform many duties. Using our experience and knowledge of the rental industry, we set out to create a user-friendly, systematic approach for doing business which properly leveraged teams of highly trained specialists and industry experts. This resulted in our ability to produce a more predictable level of service typically not found in most markets. We are constantly improving our processes and incorporating technology for your benefit. We designed our business model to leverage the latest technology for efficiency and combine it with highly trained professionals. We strive to make certain our staff are experts in their field as well as the specific markets they service. We provide our property owners with a single point of contact so when you have questions, you will be contacting the person that is the most knowledgeable regarding your particular property. Our priority is to provide comprehensive, reliable, trustworthy and cost-effective services to residential property owners and real estate investors.